Nick and Sandi Cienski founded Mission 14® in 2011 after returning from a mission trip to Nicaragua where, for the first time, they encountered the issue of human trafficking. After spending time educating themselves on this issue they couldn't just forget about what they had seen and that they needed to join in the fight to eradicate it. Nick works for the sports brand Under Armour in Baltimore MD where he oversees the design and creation of apparel and footwear products for the Outdoor division. Over his ten-year history with the brand he has designed specialty collections for key athletes, such as Lindsey Vonn, and global sporting events like the Olympics. Nick has also partnered with members of SOCOM to build out highly technical items for members of the special forces. His passsion for making products and his connection to the garment industry was a key advantage when it came time to create the sewing school in Nicaragua. Sandi is a professional photographer, artist, and co-founder of Mission 14®. With more than 18 years of experience running her own professional photography business, she now focuses on encaustic and oil painting. As Director of Operations, Sandi oversees our social media feeds and helps implement our local and Nicaraguan initiatives. 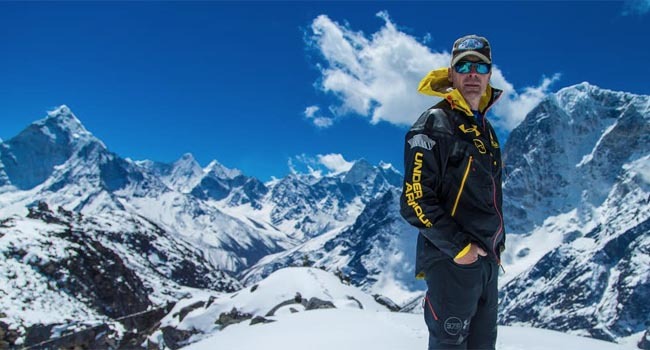 In 2015 Sandi played a vital role in the 6 Summits Challenge by supporting, encouraging and praying for Nick. 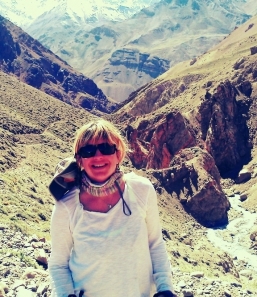 Sandi traveld to base camps in Argentina, and Nepal. While at Everest base camp she experienced the 2015 earthquake and subseqent avalanche. She supported doctors and evacuation teams following the tradgedy. Fabricio Manzanarez Mercado is an industrial engineer by training who has had two major life experiences through volunteering and teaching. The first experience was working for the Red Cross in Honduras where he was on the front lines of relief efforts helping people and needy communities affected by natural disasters, war, disease, and famine. The second life experience was as a university professor, teaching practical business skills he learned from his many years working for different businesses and industries in Nicaragua. In 2015, Mission 14 hired Fabricio as General Manager of their sewing center in Managua, Nicaragua created to provide training and employment opportunities for at risk women and children in an impoverished area known as La Chureca. By partnering with an international clothing manufacturer, New Holland Apparel, Mission 14 has been able to secure donated fabric, machinery, and provide training to create a source of employment, fair pay, and hope for women as they become productive members of Nicaraguan society. 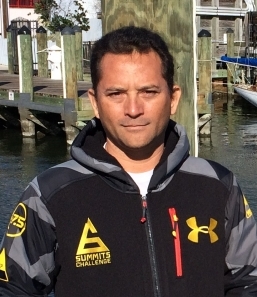 Fabricio is inspired by his faith in Christ, his family, and passion for finding new ways to help those who are struggling to live a better life. Senior Creative Director Outdoor Apparel & Footwear, Under Armour, Inc.